There are many reasons behind discoloration of the skin. 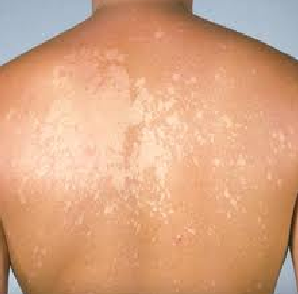 Discoloration is a problem which is associated with skin pigmentation. Healthy skin should have an even coloration, and if there is any discoloration detected on normal skin, then it is considered to be unhealthy. Sometimes, discoloration is not actually big issue, unless the person affected by it finds it annoying or embarrassing. People with a reduction in or a defect in melanocyte function are more prone to discoloration of the skin. Basically, there are 6 types under this disorder. They are hypopigmentation, hyperpigmentation, redness, pale skin, yellowness, and cyanosis. It will generally occur when the affected skin is lighter compared to normal, unaffected skin. This is caused by a decrease in melanin, the pigment responsible for skin color. This occurs when the affected skin is darker when compared to normal, unaffected skin, and this is caused by an excessive amount of melanin. This condition is characterized by a paleness in the skin tone, or when part of the skin is pale. It is mainly caused by a lack of exposure to sunlight as well as a lack of oxygen. This is a common type of discoloration in which part of the skin becomes overly red; it occurs when a person has a health condition such as rashes, dermatitis, and allergies, and may also be due to sunburn. This is when the skin tone becomes too yellow in color, and even the fingernails and the toenails may become yellowish. It is basically caused by a liver-related problem. 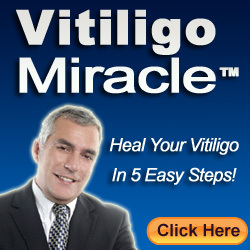 Another obvious symptom of a liver condition is a yellowing of the whites of the eyes. People experiencing this type of discoloration are advised to consult a doctor immediately. This occurs when there is a deficiency in the supply of oxygen to the blood. The symptom is when the skin turns bluish. A discoloration in skin tone can be caused by any of the reasons mentioned below. Before embarking on a treatment regimen, the exact cause and type of skin discoloration should first be determined. It is also better if you consult a doctor or a skin expert if you come up with any discoloration of the skin. By doing so, the doctor will first diagnose the disease and then will suggest the type of treatment which has to be carried out. There might be some types of medication or creams that may be prescribed, and that should be taken with regularity. The drugs are to be taken only via prescription from a dermatologist or other medical professional. However, sunscreen lotions, which are available over the counter, should always be used if you expect to be exposed to sunlight for extended periods to avoid discoloration of skin and prevent the occurrence of any serious skin disorders.